An interior designer who failed to pay up when her Chelsea basement extension damaged her neighbour's flat has been slapped with another £6,000 in costs by a judge. 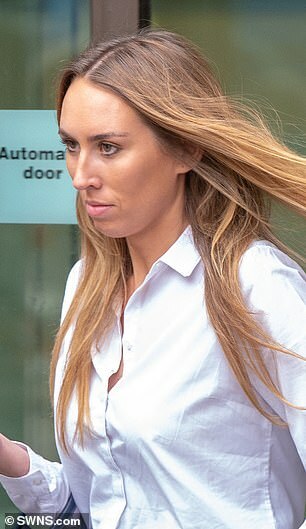 Olivia Walton, 28, was ordered to pay nearly £120,000 to her upstairs neighbour Michele Napp after the building work left floors and walls cracked, a window subsided and caused her tenant to leave. The cash award was made in April by a surveyor under the Party Wall Act, but Miss Walton, whose property is worth £3.1million, failed to pay up and she was ordered before Westminster Magistrates' Court today to settle the matter. 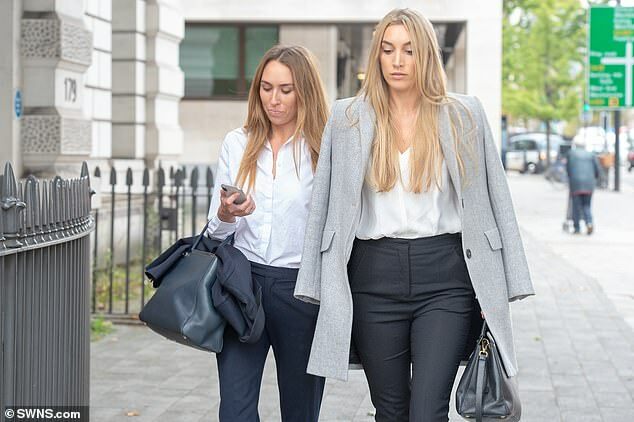 Miss Walton, who has been pictured holidaying in St. Tropez while posing with designer handbags during the legal battle, had offered to pay back the sum at £1,500 per month but it was rejected because it would have taken six years to settle. A hearing at Westminster Magistrates' Court was told business consultant Mrs Napp was now losing £4,000 a month in rent from the property, which is worth £1.5 million. 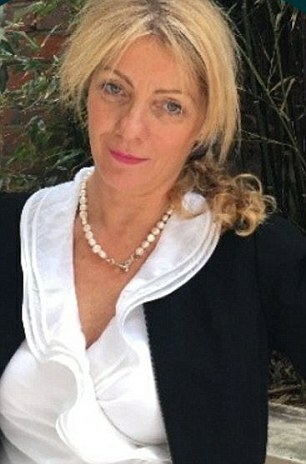 Miss Walton claimed she cannot afford the payout, despite earning up to £8,000 a month in rent from the luxury townhouse. Today a district judge ruled that the money is repayable in full as a civil debt and sent it back to the county court to be enforced. Judge Mike Snow also awarded Mrs Napp, 57, another £6,000 in costs after her barrister said bringing the matter to the magistrates' court was a 'final resort'.The judge rejected Mrs Napp's argument that legal fees had reached £14,000, describing the figures as 'eye-watering'. Miss Walton works for luxury interior designer Laura Hammett. Her father is a property developer whose latest venture controls student accommodation near their £4.6million family home in Jesmond, Newcastle. 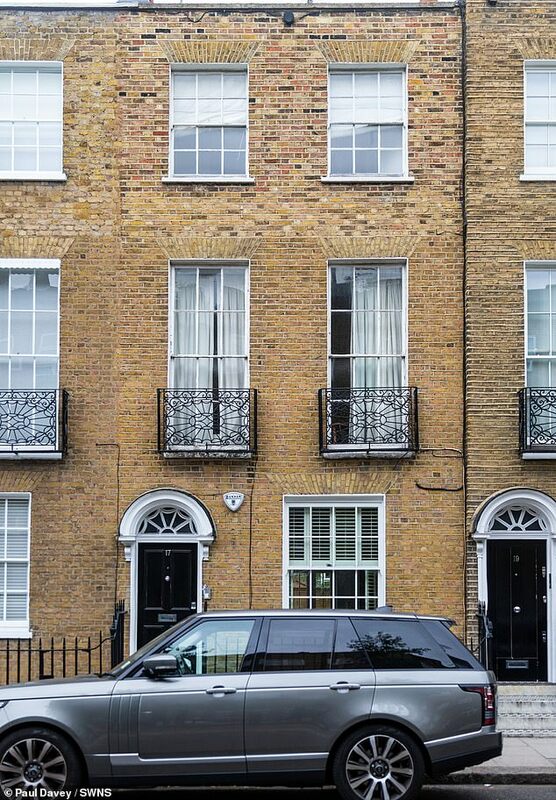 Mrs Napp's barrister Edward Blakeney said: 'To give some context to the matter Miss Walton occupies the ground floor and basement maisonette and Miss Napp occupies the first and ground floor. The barrister said a surveyor awarded Mrs Napp just under £113,000 for damage caused to the flat. Mr Blakeney said, 'Once the appeal period for that award passed, Mrs Napp emailed Miss Walton and requested payment. Mr Blakeney said an email sent on May 10 contained the offer to pay £1,500 a month to Mrs Napp. He said: 'There was a suggestion of £1,500 a month but Mrs Napp found that unacceptable. Judge Snow said: 'The only power I have is to make or not make the order. 'Section 17 of the Party Wall Act 1006 makes clear that what I'm required to consider is whether the sum payable can be recoverable summararily as a civil debt. 'That's a very long way of saying the money should be paid - although it has to be recovered through civil courts. 'The claimant in this case had the benefit of the surveyor's report prepared by Mr Moon going back to April this year. 'On the basis of that report it was quite clear she had an extremely strong case for a section 58 order being made and the case has come before me today. 'Whatever arguments in the past, there's no contention to the section 58 order being made today. 'I find the claims for costs eye watering and not reasonable - this is a straight forward procedure and cheap procedure.
' I'm ignoring what I have heard about payment plans because that's not what I'm concerned with under making an order under section 58. Speaking outside court, Mrs Napp, who has a senior role at global consultancy firm KPMG, said: 'It's been a long journey. She said a statement would be made via her instructing solicitors shortly. Olivia and her sister Annabel both sat in the public gallery during the short hearing dressed in black suits and white blouses. They left court quickly and could not be reached for comment.